Azovmash Mariupol stayed in the running for the elimination round by handing Khimki its first loss in Group D as Tomas Delininkaitis and Yahor Meshcharakou were a perfect 6-of-6 on foul shots in the final minute of a 100-102 overtime win on the road. Delinlinkaitis, who also hit a three-pointer to force the extra session, finished with 27 points to lead six Azovmash players in double figures. Kris Lang had 21 points and 8 rebounds while Meshcharakou and Rodney Buford both scored 12 points and Igor Loktionkov and Panagiotis Liadelis each chipped in 10 points. The victory improves Azovmash to 4-3 in Group D ahead of its matchup at home next week against SLUC Nancy. Khimki dropped to 6-1 despite 23 points from Teemu Rannikko. Anton Ponkrashov had 17 points and 6 assists while Mike Wilkinson and Vitaly Fridzon both had 16 points. Kelly McCarty was held to 9 points while Vladimir Veremeenko had just 6 points. Khimki travels to Deutsche Bank Skyliners next week. Veremeenko opened the scored and was followed up by two long balls by Ponkrashov and a three-point play by Fridzon in building an 13-4 lead early. Wilkinson made it a 10-point game with a three-ball and another Wilkinson basket pushed the advantage to 18-6. Khimki twice re-established a 12-point lead before Delininkaitis's basket pulled it to 23-13 after one period. Meshcharakou opened the second period with a triple for Azovmash. Three straight baskets by Lang - including two three-point plays - trimmed the deficit to 29-26. McCarty scored twice as Khimki pulled back ahead by nine - 35-26. But Azovmash went wild from long range as Delininkaitis knocked down two three-ball and Buford also hit one and Aubrey Reese evened the game at 37-37 to complete a 2-11 run. Ponkrashov and Rannikko answered with triples in Khimki's 12-2 surge but Buford's trey at the buzzer cut the lead to 49-42 at the break. Wilkinson hit the first basket of the second half. Liadelis scored twice to cut the margin back to 51-46 only to see Ponkrashov's free throws made it 55-46. Khimki was still leading 61-55 before Lang hit three baskets and Loktionov second twice to open a 63-66 advantage, which was down to 65-66 going into the fourth. Vladimir Dyachok's basket started the final period for Khimki. Delininkaitis's basket gave Azovmash the lead 69-71 but Rannikko and Fridzon both nailed answered with triples for a 75-71 scoreline, which Lang knotted up at 75-75 with four minutes left. The game was still even at 78-78 when Wilkinson hit one foul shot and Veremeenko knocked down a basket for an 81-78 lead. Reese cut the margin to 81-80 with two free throws in the final minute. Rannikko came back down and made two foul shots but Delininkaitis evened the game at 83-83 with a three-ball and the contest went to overtime when Ponkrashov missed a long-ball at the buzzer. Rannikko's foul shot opened the scoring in overtime. Delininkaits hit another three-ball only to see Ponkrashov answer with a three-point play. Buford scored three points and Meshcharkou and Delininkaitis both made two foul shots to open a 87-93 lead. Khimki tried to come back down the stretch by sending Azovmash to the line but Delininkaitis and Meshcaharkou were a perfect 6-of-6 and Reese's basket made it 99-102. Ponkrashov made one foul shot in the waning seconds and Wilkinson grabbed the rebound on the second but missed a potential game-tying basket. 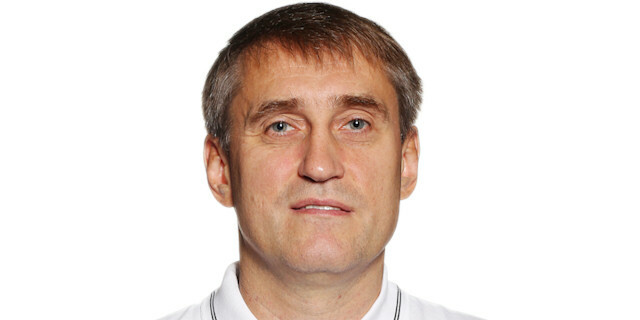 "I congratulate the coach of Azovmash for a deserved victory. We started well, but they came back, My players lost concentration after easily winning the first quarter. We will study this game and try to learn from our errors."